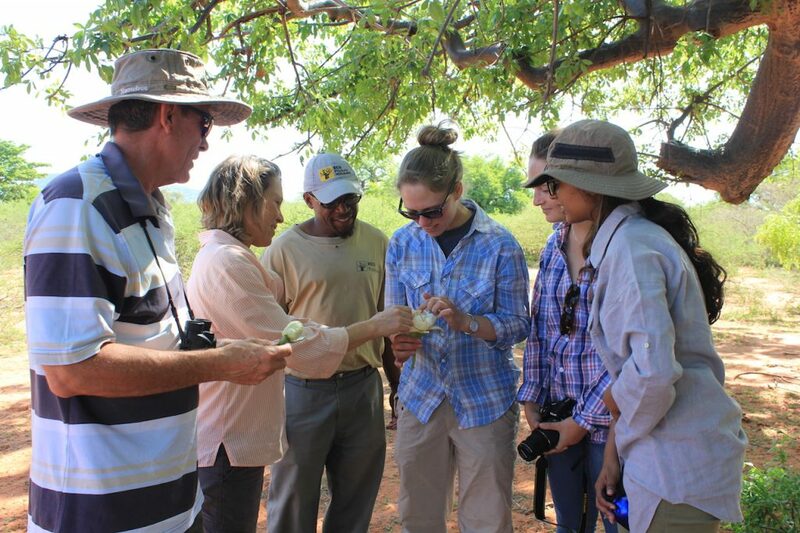 It is baobab flowering time again giving us the chance to continue our research into the ecology and pollination of the baobab flower. 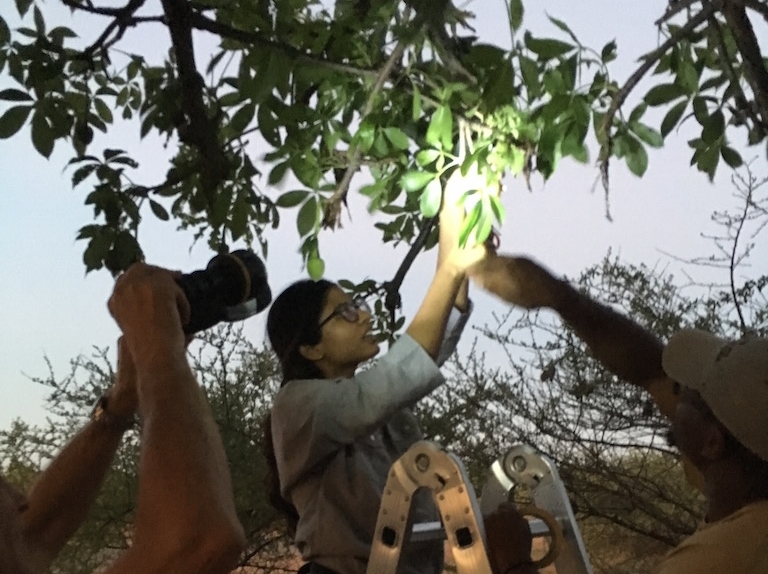 Anastashia Chetty is doing her MSc project on investigating the baobab flower morphology and processes that are involved in pollination. In South Africa, baobabs begin to flower during the month of November, the flowers opening at night so quickly you can practically watch them as they open. They flower for just 12 hours and are spent by morning. 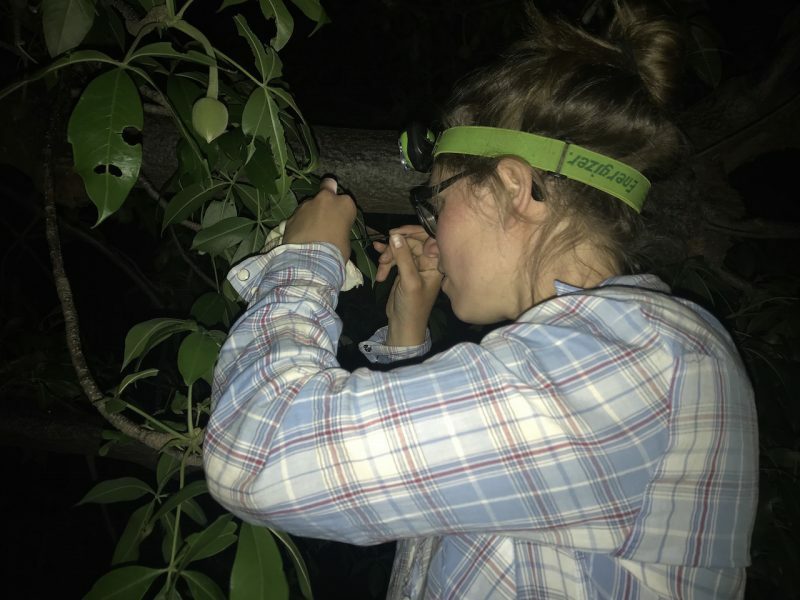 Anastashia and her research assistants, Alex and Prince spent the whole night monitoring and measuring the flowers before they wilt in the morning. Dr Sarah Venter is co-supervising Ana with Dr Kelsey Glennon, Prof. Glynis Goodman and Prof Ed Witkowski.